A New Twist on a Classic Twisty Puzzle? The Rubik’s Cube is an instantly recognizable icon of the puzzle industry. That simple pattern of colors on a 3×3 grid, the twisty turny puzzly challenge… it’s unmistakable. But we’ve never seen a Rubik’s Cube quite like this. 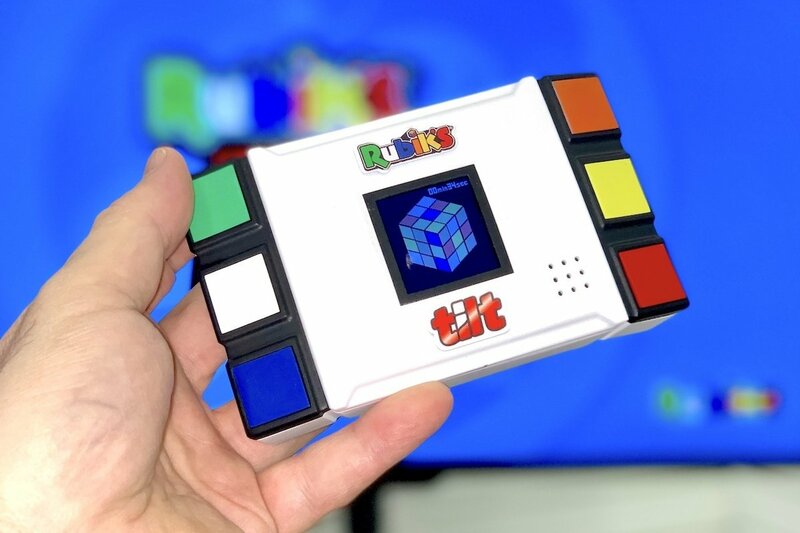 Say hello to the Rubik Tilt, a $25 handheld Rubik-style twisty puzzle that mixes button pressing with rotating, turning, and tilting the device itself in order to manipulate a virtual Rubik’s Cube on its game screen. 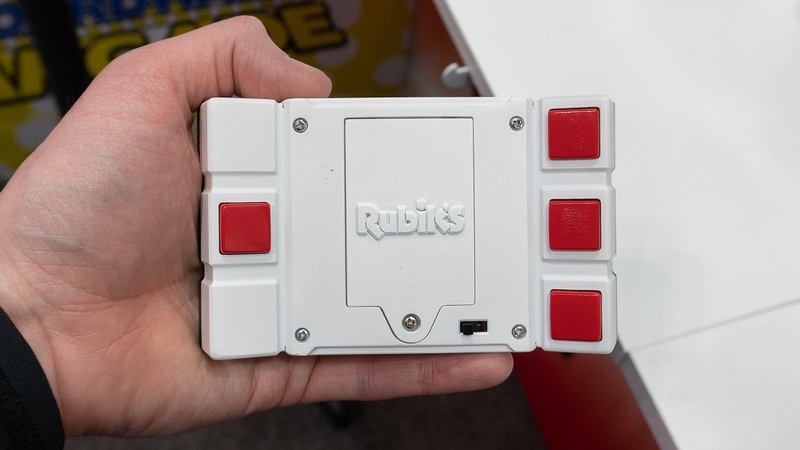 The buttons on the back of the controller allow you to select which row or column of the Cube is being shifted by your real world maneuvering. Now, you may very well be saying, “So what? What does the Rubik Tilt do that you can’t get from playing with an actual Rubik’s Cube?” And that is a very fair question. And the designers at Super Impulse did think of that; yes, the Rubik Tilt does have one trick up its sleeve that the original Cube does not. It’ll offer you hints if you get stuck. Yes, when the game detects a lapse in solving — such as when you’re stumped about how to proceed next — it offers hints on which rows and columns of the puzzle to focus on. Although the puzzle won’t go as far as walking you through solving a Cube, it does provide a little pushing and prodding to keep you going. When you factor in that the game also keeps track of your solving time, you have a Rubik’s-solving experience that not only encourages you, but actually teaches you to be better at solving this classic, diabolical brain teaser. And, like the best puzzles, it rewards determination, rather than doubling down on frustration. It’s certainly a different take on the Cube we all know, but it remains a worthwhile experiment, a proud new entry in the grand tradition of puzzles that teach us to be better solvers.